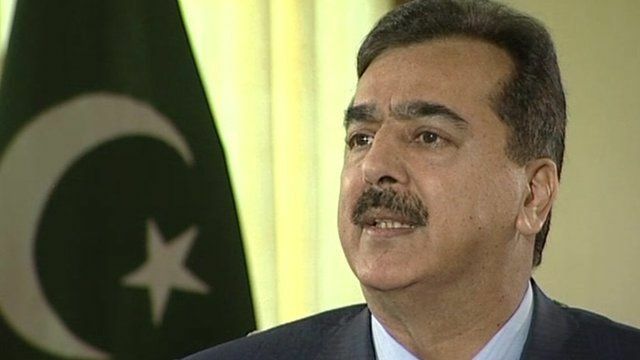 Pakistan's Gilani on lack of trust with US Jump to media player Pakistani Prime Minister Yousuf Raza Gilani tells the BBC the blockage of NATO convoys carrying supplies to Afghanistan could continue for several more weeks. Pakistan PM promises relief Jump to media player Pakistani prime minister travels to the north-eastern area of Pakistan which remains cut off due to the blockage of the Karakoram highway, its only road link to the outside world. 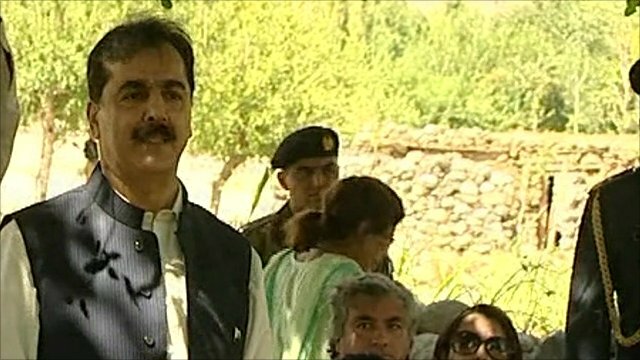 Pakistan's Prime Minister Yousuf Raza Gilani has told the BBC's Orla Guerin that the blockage of NATO convoys, carrying supplies to Afghanistan, could continue for several more weeks. He said the lifting of the blockage would have to wait until a new set of rules of engagement with the United States had been agreed. Mr Gilani said there was a lack of trust between Pakistan and the US, which needed to be resolved.